Although Keith Jardine has compiled a 14-4-1 professional record, posting wins over former UFC champions Chuck Liddell and Forrest Griffin along the way, he has alternated between wins and losses in his last five bouts. Jardine, however, claims that he is undefeated. After being knocked out by Silva at UFC 84, Jardine posted a close split decision victory over Brandon Vera at UFC 89. He claims the Silva fight made him look in the mirror and become a different fighter. “Since that Wanderlei (Silva) fight I feel like I started over and right now I’m 1-0 in the UFC – that’s the way I look at it,” stated the reborn Jardine. Prior to his loss to Silva, Jardine won two of his previous three fights. Sandwiched in between his wins over former UFC champs Liddell and Griffin was a devastating knockout loss to Houston Alexander. 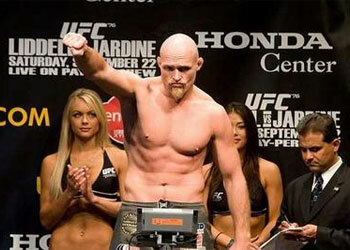 Jardine enters his UFC 96 bout against Quinton “Rampage” Jackson a heavy underdog. However, he sees this as a great opportunity to claim another win over a former UFC title holder. Starting from scratch isn’t a big deal for the Jackson Submission fighter, as he intends to be in the MMA game for the long haul. He also believes that he can compete in two UFC divisions if necessary.